Written by James Tyrell-Nestor on 24th August 2015. At Physology, we see you differently. We look at your body in a way that nobody will have ever done before. If you have had long standing pain that a Physiotherapist, Chiropractor or Osteopath has been unable to treat successfully then you will enjoy our website as much as our treatments. You see, Physology is based on the very latest research on modern anatomy with a large emphasis on Fascia, the connective tissue that makes up 80% of our bodies. This is the same tissue that is completely overlooked by traditional healthcare treatments and the NHS. It isn’t taught as standard in the medical education system and it doesn’t show up on any X-Rays, MRI or CAT scans. It is no surprise therefore that many of you are left frustrated and in a shroud of mystery, and perhaps even debt, after spending years of your life in pain with no solution as to why. We are completely aware of your frustration and we take responsibility in ensuring that our treatment is accessible to as many people as possible to that they can start living a pain free life once and for all, and finally understand how your body works. 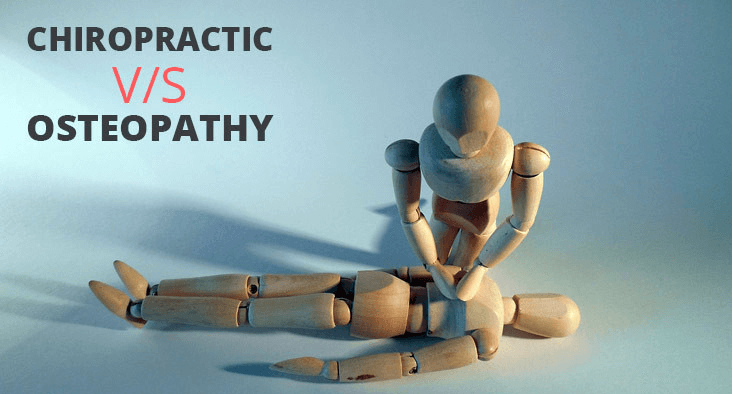 This article therefore will explain the difference in Chiropractors, Osteopaths and Physiotherapist treatments to give you a clear understanding of when they might work for you and why they will not. These are the usual practitioners that you are likely to see time after time thinking that they should be the answer to your problems. Years later however, you are likely to be still be seeing that same Chiropractor. Or perhaps you are now looking for a better, well qualified chiropractor. Or maybe you have now been told that an Osteopath will be better for you. Or better yet, like many of our patients, you have been told that your pain is just something you have to live with, so you visit a Physio for some short term relief. We will look at what each of the above treatments have and of course there benefits, but also at the limitations too to help you understand exactly why your pain continues despite years of treatment, surgery and who knows what else. We will then enlighten and encourage you with how Physology can end your pain. How we are different from the traditional treatments and how we see and treat your body in such a unique way to get you pain free fast. A Chiropractor specialises in pain relief and injury recovery through primarily focusing on the spinal and muscular systems of the body. The non-surgical treatments usually have an emphasis on a range of manipulations on the spine for manual joint adjustments. Additionally, in order to reduce pain and improve the functionality, massage is often involved in the treatment while rehabilitation exercises are recommended for the patient to strengthen surrounding areas of the body linked with the location of pain. Chiropractors focus on the relationship between the spine and the nervous system with the belief that the alignment of the spine affects the nervous system in the body. Chiropractic treatment therefore looks to restore the alignment and structure of the spine which in turn will reduce pressure on the surrounding tissues, nerves and muscles, re-establishing spine functionality and motion and hopefully improve the health of a patient. Manual/Spinal Manipulations: which can be commonly referred to as ‘Chiropractic Adjustment’. This involves high velocity, short lever arm thrusts often resulting in a number of cracks and pops with the release of gas following joint pressure in the spine. Mobilization: Chiropractic Mobilization is the lower velocity manipulation in which the muscles and joints are moved and stretched to increase the range of motion in the particular area. Treatment can include minor discomfort for a short time depending on the tightness of muscles during the treatment (which is often aided by massage). Soreness or aching can occur, but a relieving sensation is often felt following the manipulations and mobilizations. Chiropractors can be further specialised into more specific areas of treatment such as sports injuries and are not always exclusively limited to the spine and nervous system. Some Chiropractors may draw upon manipulation of the arms and legs, physiotherapy practices, acupuncture and nutrition, ultrasound, diathermy, ergonomics etc, all to attempt to view the body as a whole in order to cure the patient’s pain with a more holistic approach. Chiropractors will also refer patients to other spine specialists or other health practitioners where appropriate. Chiropractors are also trained in the use of diagnostic studies which is the ability to diagnose your pain based on your symptoms and observations of X-Rays and scans. They are trained in examining joints, bones, muscles and tendons. They are trained in performing orthopedic, cardiovascular and neurological tests and they can give specialised assessments on motion, stability and muscle tone. It would seem that Chiropractors have all of the bases of the human body covered. Particularly of course if you have lower back pain or next pain. And in many cases a Chiropractor might be all you need for pain relief. But, why is it thousands of people are still in pain despite numerous visits to the Chiropractor? Osteopathy is based on the principles that the health of the patient is dependent on the relationship between the bones, muscles, ligaments and connective tissue functioning smoothly together. Treatment is focused on hands-on techniques that move, stretch and massage muscles and joints. Treatment with an Osteopath can be very similar to that of a Chiropractor and has perhaps more similarities than differences with Chiropractic treatment. One of the major differences between the two is that Osteopaths are not trained in radiography, meaning that they would have to request scans or X-Rays if required. Osteopaths however, have more of a holistic view on the whole body rather than having a specific focus on the muscular and spinal system like Chiropractors. This means that an Osteopath can specialise in treating patients with a wider scope of problems that don’t appear to be related to the spine or joints, such as those with respiratory or digestive problems. Treatment from an Osteopath usually includes more therapeutic methods in the form of massage, physical therapy and manipulations. Like Chiropractors, Osteopaths will move the patient during a treatment in order to increase mobility and decrease joint pain. This treatment will take the patient out of there usual range of movement which can be slightly distressing and often result in the cracking of joints, but Osteopaths will generally do this in a less vigorous way than a Chiropractor by being more passive and repetitive in the technique to stretch the joints and muscles. Additionally postural improvements and rehabilitation exercises will be given to a patient for them to continue treatment at home. Chiropractors and Osteopaths have different schools of thought but are very similar in their treatments with a focus on joints and muscles. Chiropractors can diagnose conditions based on X-Rays and Scans. There are no comparative studies to suggest that one treatment is better than the other. Both have tremendous benefits and can be very good for pain relief. They will also give you excellent care. Both however, do lack one key observation of the body that leaves holes in their treatments as we will go on to discuss. So we have seen what a Chiropractor and Osteopath can do for you but what about the role of Physiotherapist? Physiotherapy is a much more broader approach to health care and pain treatment. A physiotherapist will assess, diagnose, treat and work to prevent and overcome physical disability, pain and injury wherever it may occur on your body. Physio’s are specialised in movement and function and are predominantly used for rehabilitation purposes to help patients recover from injury, reduce pain and stiffness and to increase mobility. Often found in Hospitals, GP’s and Sports Clubs, Physios work closely with their patients in order to maximise the quality of life and movement through prevention, treatment, and rehabilitation while helping the person develop the capability to do something and enable that person to control and improve their health and pain. Neuromuscular systems – or in other words, nerves and muscles. This includes nerves in the brain, the spine and any every other nerve in the body, and the relationship those nerves have with the muscles. Musculoskeletal systems – this is the organ system that allows our bodies to move via our bones and muscles, cartilage, tendons, ligaments, and joints. Cardiovascular systems – this is of course the heart and the circulatory systems. The circulatory system that carries nutrients and oxygen via blood vessels to the tissues of the body and removes waste and carbon dioxide from them. Physio’s have this covered. Respiratory systems – the lungs, bronchi, throat and nose are all examined and treated to ensure we are breathing correctly. Asthma is often a condition that a physio’s treat. As we can see, Physiotherapists are also very well positioned in helping individuals restore function, relieve pain and improve mobility, but why still is there so many people who just can’t seem to cure their chronic pain? No matter how many X-rays and scans you may have had, how much surgery you may have had, or the amount of treatments with physio’s, chiropractors, and osteopaths, why does the pain continue? And how is Physology different? As previously mentioned, we see you differently at Physology. While the above treatments will certainly provide you with pain relief, our treatment will cure your chronic pain and in a shorter amount of time. Most of our patients have spent years in pain and have had every treatment under the sun with no long lasting relief from their symptoms. We get them pain free and keep them pain free in just a few hours. On many occasions, just a few minutes. As you will have noticed in the explanations above, Physiotherapists, Osteopaths, and Chriopractors look at your body as a “whole” and treat your muscles, bones, joints and tendons. But there is still something you are not being told or perhaps more fairly, something these professionals are not even being taught. You see those same bones, muscles, ligaments, tendons, joints and nerves are all connected with a connective web like tissue that makes up more than 80% of the human body. This substance is called ‘Fascia’. You will have also noticed that the word ‘Fascia’ does not come up once when describing the treatments of these more traditional healthcare treatments. Remember, it makes up 80% of our bodies, and yet the healthcare practitioners that claim to view the body as a ‘whole’ are completely overlooking and are even unaware of the significance of fascia in our body. If you are familiar with Physology or fascia you will be aware that it is the missing link in modern healthcare. 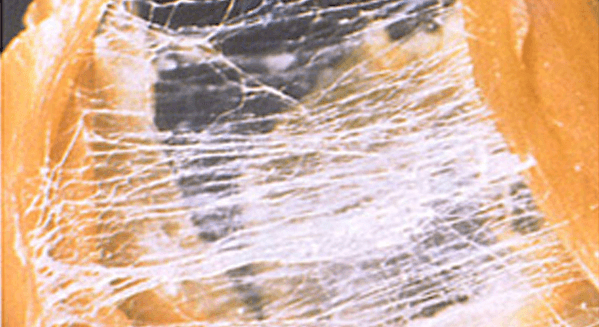 Fascia is the biological fabric that holds you together and your 70 trillion cells all humming in relative harmony. It is often described as a 3D “spiders web”, is made of fibrous, wet, sticky proteins that hold your muscles, bones, ligaments and tendons all together in their proper placement, while surrounding the brain, spinal cords and nerves. Fascia is everywhere and is heavily involved in every chronic pain symptom from lower back pain to headaches to sports injuries. A little frustrating then that the NHS, Chripractors and Physios won’t tell you about fascia because it isn’t taught as standard yet. They just don’t know about it. It also doesn’t show up on any of those scans you might have had or will have in the future. To put that in a different way, a scan will only look at 20% of what is in the area of your pain. Now that’s not exactly seeing your body as a “whole” right? At Physology, we identify your pain at the root cause rather than the area of pain. We use a range of techniques that are centered around myofascial release to instantly change the condition of the tissues in your body to reduce pain and correct dysfunction causing long term issues. However you define fascia, it is everywhere. From you head to your toe. From the first moment of life until death. And if you are still suffering from chronic pain despite years of treatment then perhaps you need to fill in the missing link in your pain treatment. For more information check out our pages on ‘Fascia’ and ‘Why Physology’ or why not take a look at some of our Testimonials to see some of our miraculous results. To end your chronic pain and to see one of our practitioners call us on 08000 432401 or book online here. 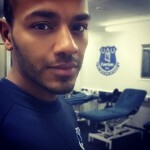 Injury Specialist at Everton F.C and Founder of Physology. Writer and Public Speaker. Passionate about pain free results and living a life full of freedom and experiences. Contact me directly at james@physology.co.uk or follow me using the icon links provided.